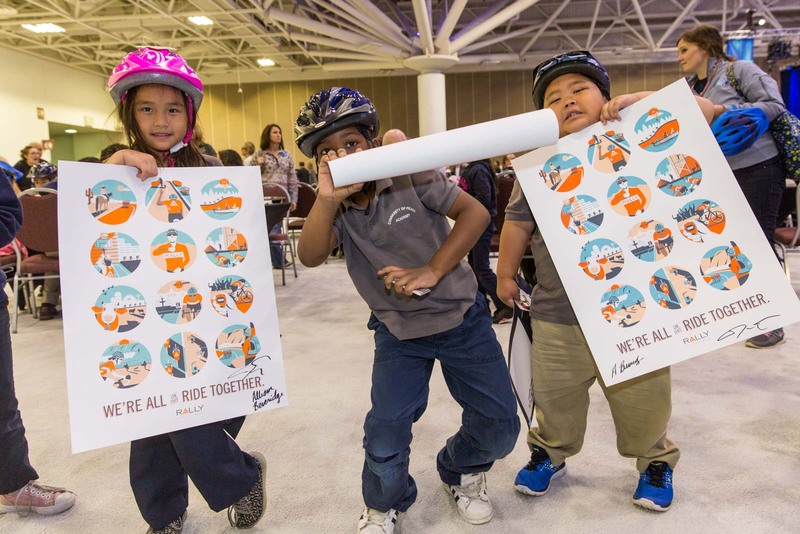 Rally Cycling Joins Free Bikes 4 Kids for Bicycle "Three-Ring Circus"
Rally Cycling joined forces with non-profit Free Bikes 4 Kids to host a “three-ring circus” of bicycle activities at UnitedHealth Group’s Leadership Forum in downtown Minneapolis. The Leadership Forum brings the top 1000 leaders from UnitedHealth Group together for three days of activities and seminars. 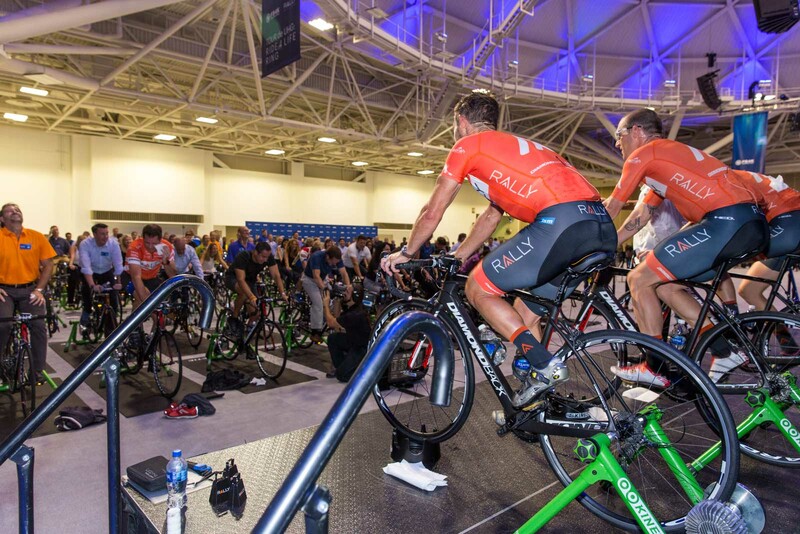 Rally Cycling helped host a team bicycle building competition, the “Tour de UHG” spin class, and a bicycle giveaway for 350 kids. “Seeing the excitement on these kids faces is why we do these events. You see the positive impact we are having, and it’s refreshing to remember what a bike can mean when you are young,” said Brad Huff. 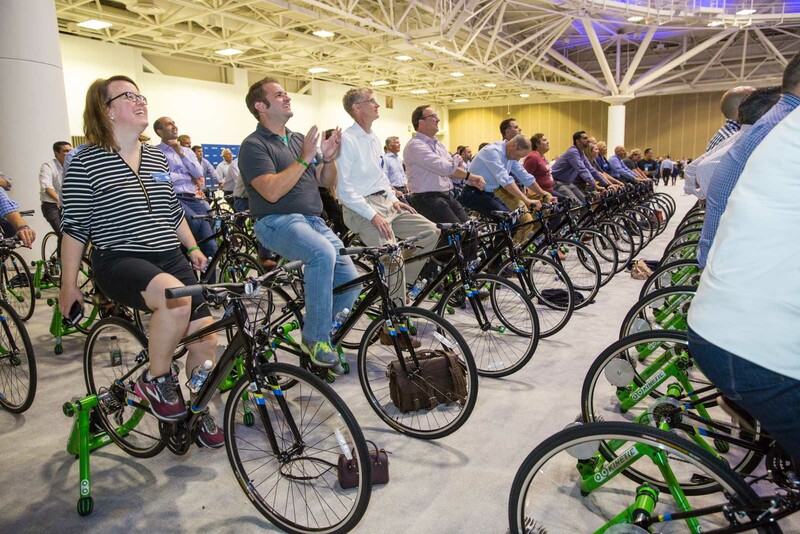 It was a busy, beautiful event – UHG employees helped kids get fitted for helmets and pick a bike. They got to know each kid, sitting down to draw a picture with them and hopefully making a new friend. They competed in teams to see who could build a bike the fastest and raised money for charity with each mile ridden during the Tour de UHG.